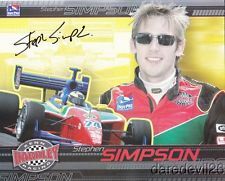 Stephen Simpson emerged as a name in South African racing when he had an outstanding season representing South Africa in the A1GP season. The country finished 17th overall after a third place finish in Dubai and a fifth placed finish in South Africa.. After a short time off he is back in the hot seats racing once against and challenging in endurance races. We sat own with Stephen to chat all things motorsport. ATJ: Firstly thank you so much for taking the time to answer our interview! What for you has been the biggest challenge making it as a racing driver overseas? SS: The dedication needed, leaving home at a young age and successfully securing funding have been some of the challenges faced. ATJ: How big a help was racing Formula Fords in your progression as a driver? SS: Racing in the SA Formula Ford Championship back in 2000 was an incredibly important step in my career. I had a great mentor in Trevor van Rooyen, who helped me understand how a race car works not only from a driving point of view, but also from an engineering one. Learning how and why different engineering changes such as harder springs, different damper settings, camber settings etc affected the car made me a better driver moving forward in my career. ATJ: You moved across to compete in the English Formula Ford series at a young age, did this experience and challenge set you on your way as a driver? SS: Absolutely, the British Formula Ford Championship was incredibly competitive. This taught me how to push myself as a driver to extract the maximum from myself. Many of the drivers I raced against back then have gone onto compete in F1 and various other top forms of motorsport around the world. I also learned a great deal out of the race car during this year, I was only 17 years old when I moved to the UK. I was too young to have a driver’s license, amongst other things, so I had to catch a train to the race tracks. I was also the team manager, accountant and travel agent for my small team so I had to learn and mature quickly. 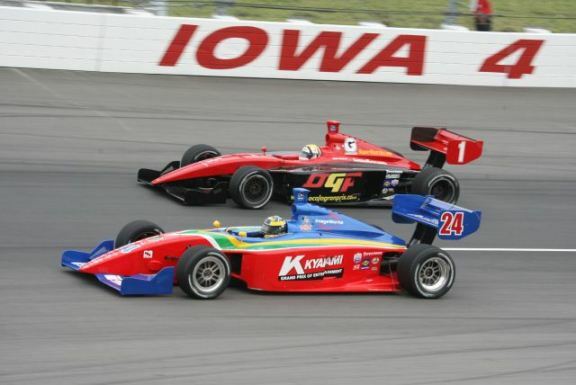 ATJ: You raced in the Elf Masters series against the likes of Danica Patrick and Anthony Davidson, what was this experience like? SS: It was a great experience; in fact Lewis Hamilton was in the race I competed in as well! He was fresh out of karting at the time and won all of the races that weekend! Never the less, it was a great experience and something I feel lucky to have had the opportunity to have done. ATJ: You also raced in the Formula Renault series, how different was this to the Fords? SS: It was very different; I race in the British Formula Renault series for two years. I won some races in the UK which was great. I also lived in Italy for a year and raced for the Benetton Junior Team in the Italian and European Formula Renault Championship. It was very competitive; I remember one race at Spa when we had 50 cars start the race! It was pouring with race so you can just imagine the spray….and carnage! I remember finishing in 12th position, 3 places behind Lewis Hamilton. ATJ: That is so awesome. What about the now defunk A1, what was the experience like for you? 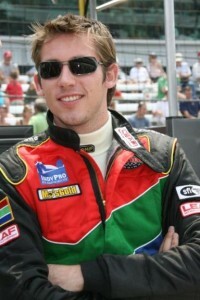 SS: I was very proud to have competed for South Africa and I have fond memories from my A1GP days! Growing up I never thought I would have the opportunity to represent my country like our rugby and cricket players did (sports I loved to play and love to watch)! Travelling the world, racing against some big named race car drivers, and beating them, was just amazing! This was a very special time in my life and something I will always be grateful for. 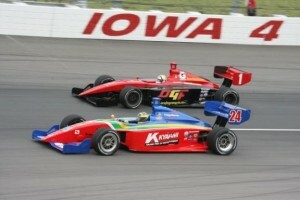 ATJ: You raced in the Indy Pro Series, what was the challenge of the Oval racing like for you as a driver? What adjustments are there between the two racing styles? SS: Oval racing is completely different to road course racing…but in a good way. I really enjoyed getting used to the ovals and racing at the Indianapolis Motor Speedway was a highlight. 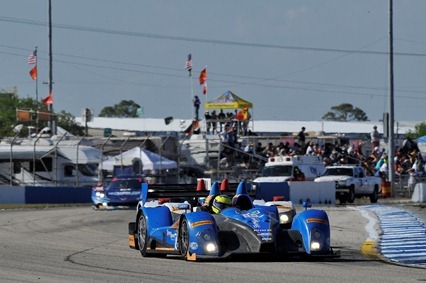 ATJ: You’re currently racing in the Le Mans racing series, what has this endurance racing taught you as a driver? SS: Well my deal was initially just for the 12 Hours Of Sebring, but of course I am working at being in the car more throughout the year. The merger between Grand Am and the ALMS has produced an ultra-competitive championship called the Tudor United Sports Car Championship. 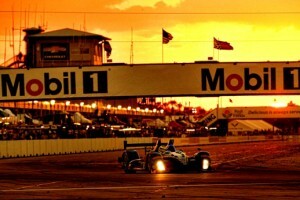 ATJ: Will we see you at next year’s Le Mans 24 Hour race? SS: Whether it is this year, next year or the year after, I will be competing in that race one day! It is something I want to do very badly and having a successful race recently at the 12 Hours of Sebring certainly helps get me to Le Mans! ATJ: Having had a break of a few years of top racing, what has the challenge been adjusting to the levels that they race at the highest levels? SS: It did take a few laps to get rid of some rust, but I got back into it fairly quickly! To be honest, I didn’t feel like I had been out of a race car for as long as I had been! ATJ: You had a great race at Sebring missing out on a podium with 20 minutes to go of the race. What was this experience like, and are you itching to get yourself on the podium at the next race? SS: Yes definitely, that podium finish was so close and I absolutely want to make sure we don’t miss out next time! It was a great experience racing in what was a record attendance! The 12 hours seemed to fly by, but I enjoyed every minute! My first stint was 3 hours and 30 minutes, which was actually great. I loved spending that much time behind the wheel! ATJ: Having raced at tracks all the way around the world, which one is your favourite track that you’ve raced? SS: Indianapolis, Spa, Silverstone, Monza, Laguna Seca, Nurburgring and Sepang are definitely some of my favourites that I have raced at. SS: To get back in the LMPC sports car and stand on the top step of the podium! ATJ: How difficult is it becoming a career racer, or do you still have a ‘day-job’ as a racing car driver? SS: It is very difficult. In fact, I put a great deal of time and effort into managing and coaching 3 up and coming race car drivers in the states. I have been fortunate to have had many great experiences over the last 15 years racing all over the world and I want to pass this knowledge onto other passionate young drivers trying to make a career for themselves. In fact, I am busy setting up a program that will help young South African drivers make the move to America to pursue a career in motorsport. We have talented drivers in SA, some of which have the ability to make it abroad and I know first-hand the challenges faced trying to do this. I know how beneficial this kind of help would have been when I made the move overseas and this is the reason I want to help dedicated young South African drivers fulfil their dreams. ATJ: Did coming from such a strong sporting school, like SACS, help you as a sportsman? SS: Yes, certainly! I am a proud SACS old boy and much of the sportsmanship I was taught during my time at SACS playing rugby, cricket or tennis, is what I still live by today. ATJ: ATJ is a blog about all sports, so what other sports do you watch and who do you support? SS: Rugby, Cricket and Golf. Since living in the US I must admit, I have gotten into NFL where I support the Indianapolis Colts and Basketball where I support the Indiana Pacers! In SA, I am a dedicated Stormers and WP supporter!! ATJ: We are also a proudly South African Blog, so do you still call South Africa home? SS: These days I live in Indianapolis! I live 10 minutes from the Indianapolis Motor Speedway which I find exciting and I enjoy. I am still definitely a very proud South African and will always call SA home. I recently got engaged to my American girlfriend and we are busy planning a SA wedding on a wine farm in Stellenbosch. ATJ: Where can fans keep up to do with your racing progress?